Since 1977, P&A has protected and advocated for the rights of people with disabilities in South Carolina. P&A provides legal representation, information and referral, training, abuse and neglect investigations, and advocacy for policy change. This timeline highlights a small sample of the types of legal cases and policy work that we have conducted in the last 40 years. The timeline portrays the major changes in rights, attitudes, and even terminology used over our past four decades of work. In 1973, Louise Ravenel and other activists formed the first advocacy organization in South Carolina for people with disabilities. It was named Advocacy for the Legal and Human Rights of Mentally Retarded Citizens and it served individuals in Charleston, Berkeley, and Dorchester counties. One of the purposes of this organization was to improve communication, services, and living standards for residents of the Coastal Center, a facility for individuals with developmental disabilities located in Ladson. Section 504 of the Rehabilitation Act specifically prohibits discrimination against people with disabilities in federally-funded programs and activities. The Education for All Handicapped Children Act ensures that children with disabilities are provided a free appropriate public education (FAPE). Under the Federal Developmental Disabilities Assistance and Bill of Rights Act of 1975 (Public Law 94-103)(DD Act), each state was required to have a statewide protection and advocacy system in place by October 1, 1977. This bill provided funding for P&As to represent individuals with developmental disabilities, including intellectual disabilities, cerebral palsy, muscular dystrophy, autism and related disabilities, and other lifelong conditions. In 1977 the PAIDD funding began and Governor James Edwards designated AHC as the statewide protection and advocacy system in South Carolina under the DD Act. At this time, AHC changed its name to South Carolina Protection and Advocacy System for the Handicapped, Inc. (SCP&A) to reflect their new statewide services. P&A represented eight children committed to Department of Juvenile Justice (DJJ) who sued the South Carolina Department of Mental Health (SCDMH) because of the inhumane conditions and lack of treatment at a DMH facility for children, Blanding House (since closed). The children were secluded for long periods, forcibly injected with medically unjustified vitamins, and placed in four-point restraints. The lawsuit was settled with the plaintiffs receiving monetary damages and DMH making numerous changes to its procedures (U.S.D.C. Dist. of S.C., Civil Action No. 83-287-0). The United States Supreme Court unanimously ruled in favor of P&A client Shannon Carter, a student with dyslexia who had not received appropriate services from the school district. By the time she was a teenager Shannon was functionally illiterate. The Court ruled that Shannon’s parents were entitled to reimbursement for tuition at a private school where she made great progress, even though the State Department of Education had not previously approved the school. 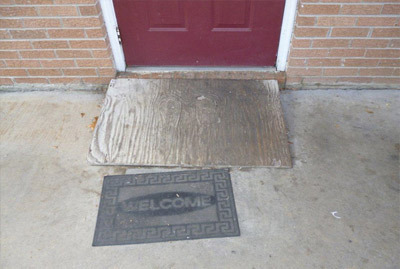 The Team Advocacy Project was created in response to repeatedly expressed concerns about the quality of resident living conditions in South Carolina Community Residential Care Facilities (CRCFs). Team Advocacy has conducted over 1,500 unannounced inspections in its first 30 years. Congress authorized Protection & Advocacy for Individuals with Mental Illness (PAIMI). The purpose of this act is to protect individuals with mental illness from abuse and neglect in institutions. In 2000, the law was expanded to include individuals with mental illness living in the community. To better represent the demographics of the state, in July 1986 P&A decided that one of its focuses should be to reach and serve minority, rural, and underserved populations in South Carolina. Later, in November 1989, the P&A Board approved the creation of an advisory council to concentrate on strategies to reach minority and rural communities. The council has remained dedicated to advocacy for people with disabilities in minority and rural communities throughout South Carolina. P&A co-sponsored with community and state agencies the first ever self-advocacy conference in the state of South Carolina. The conference provided individuals with disabilities self-advocacy skills that are needed in speaking up, making decisions, being aware of rights and responsibilities, and contributing to the community. They also provided skills needed to form local self-advocacy groups. The ADA was signed in July of 1990. It is the most comprehensive legislation to date protecting the rights of people with disabilities. The Individuals with Disabilities Education Act (IDEA) was a revision of the 1975 Education for All Handicapped Children Act (EHA), P.L. 94-142. The act states all children with disabilities are entitled to a free, appropriate public education in the least restrictive environment. In 1990, P&A sued the Department of Juvenile Justice (DJJ) because of deplorable conditions including lack of treatment, overcrowding, and violence. 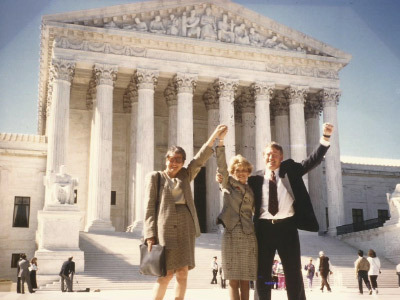 The plaintiffs won a landmark victory in federal court and settled the case in 2003. P&A continues frequent monitoring of DJJ. Congress authorized Protection & Advocacy of Individual Rights (PAIR). The purpose of this act is to protect the rights of all individuals with disabilities not covered under PAIDD, PAIMI, or CAP, including individuals who are blind, deaf, or have a mobility disability. 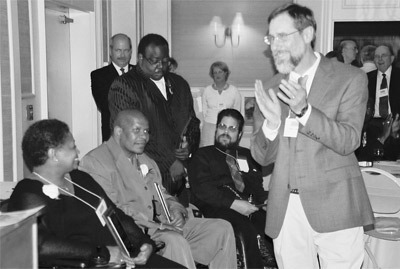 In 1994, the Protection and Advocacy for Assistive Technology (PAAT) program was authorized by Congress. It allows P&A to provide advocacy services to people with disabilities who are denied funding for assistive technology devices and services such as computers and wheelchairs. In 1996, South Carolina Protection and Advocacy System for the Handicapped, Inc. (SCP&A) changed its name to what it is known as today, Protection and Advocacy for People with Disabilities, Inc. (P&A). The U. S. Supreme Court ruled that the ADA gives people with disabilities a right to receive services in their home communities when appropriate. They should not have to live in institutions to get those services. In 2001, Congress authorized the Protection and Advocacy for Beneficiaries of Social Security (PABSS) program. P&A provides individual representation to recipients of Social Security or Supplemental Security Income (SSI) disability benefits who face barriers to secure or regain employment. PABSS also provides statewide training about beneficiaries’ rights under the Ticket to Work and Work Incentives Improvement Act. In 2002, the Protection and Advocacy for Individuals with Traumatic Brain Injury (PATBI) program was authorized by Congress. It allows P&A to advocate specifically for individuals with a traumatic brain injury. P&A led a coalition to amend the South Carolina Nurse Practice Act to take “self-directed attendant services” out of the definition of nursing. The amendment has allowed people with disabilities more freedom to live independently with the assistance of aides of their choice. In 2002, P&A filed a federal class action lawsuit against Central Midlands Regional Transit Authority (CMRTA) on behalf of four individuals. CMRTA operated Dial-A-Ride Transit (DART), which is the paratransit system for the Columbia area. The lawsuit claimed that the transit system violated the ADA because the public transportation system was not providing equal services for people with disabilities. In 2005, P&A reached a court-approved settlement because of significant service improvements made during the lawsuit. Additionally, CMRTA made a commitment to improve disability access to public transportation and provide staff ADA training. In 2003, the Protection and Advocacy for Voting Access (PAVA) program was created as part of the Help America Vote Act of 2002 to improve voting rights for all Americans. Under PAVA, P&A works to ensure people with disabilities have equal opportunities to vote. P&A filed a complaint with the US Department of Justice because the hospital failed to provide sign language interpreters or communication aids when treating two patients who are deaf. The settlement ensures better care and attention to deaf or hard of hearing patients. In 2005, P&A and three individuals sued the SC Department of Corrections (SCDC) on behalf of all inmates with serious mental illness. In 2014, then Circuit Court Judge Michael Baxley ruled that the SCDC mental health program is “inherently flawed and systemically deficient in all major areas,” and ordered prison officials to reform the system to provide more humane treatment of prison inmates with serious mental illness. SCDC appealed, but also agreed to mediation in an attempt to resolve issues. In 2016, the parties agreed to a multi-year plan to improve mental health services at SCDC. The Circuit Court approved the settlement the SC Supreme Court has issued a final order. The parties are working to implement the Settlement Agreement. The Nelson Mullins law firm represents P&A and the class pro bono. P&A published Unequal Justice for South Carolinians with Disabilities: Abuse and Neglect Investigations. This report highlighted the abuse and neglect occurring at state facilities operated or contracted for operation by the Department of Mental Health (DMH) or the Department of Disabilities and Special Needs (DDSN) and the lack of external oversight and investigation. The South Carolina Disability Voting Coalition was established to advocate for voters with disabilities. The coalition has improved access to the voting process and increased the number of voters through voter education. The coalition continues to advocate for voters with disabilities. Following P&A’s 2005 Unequal Justice report, the SC General Assembly created the Vulnerable Adult Investigative Unit (VAIU) to be run by the South Carolina Law Enforcement Division (SLED). This new unit was put in charge of processing investigations of abuse and neglect of people residing in facilities operated or contracted for operation by the Department of Mental Health or the Department of Disabilities and Special Needs. In 2006, P&A negotiated a settlement between a juror who is deaf and the Lexington County Clerk of Court to ensure that sign language interpreters are provided for jurors who are deaf so they can fulfill their civic duty. In 2006, P&A joined the South Carolina Emergency Management Division’s (SCEMD) Special Needs Task Force, formed after Hurricane Katrina in 2005. Today, the committee is known as SC Emergency Preparedness Committee for People with Functional Needs. P&A continues to work closely with the committee to ensure that all planning for disasters considers the needs of individuals with disabilities. Issues include physical accessibility of shelters; availability of American Sign Language Interpreters; and need for mental health providers. P&A staff also participates in state and local “VOAD” (Volunteer Organizations Active in Disasters) meetings to raise awareness about people with disabilities. During the October 2015 “1000 year flood” P&A was active in disaster relief activities and inspection of shelters. In 2007, P&A and a group of individuals sued the SC Department of Disabilities and Special Needs (DDSN) for not complying with state law that government agencies must issue regulations. DDSN does not have regulations for many important matters, including eligibility for their services, hearings and appeals, and standards for day and residential programs. After the Circuit Court ruled for DDSN in 2013 P&A appealed to the Court of Appeals. On February 24, 2016, the Court of Appeals issued an opinion clearly supporting P&A’s right to bring the suit. DDSN has asked the SC Supreme Court to review the case. The Richardson Plowden law firm is representing P&A and the individuals pro bono. Congress enacted the ADA Amendments Act to make a number of significant changes to the meaning and interpretation of the ADA's definition of “disability” to ensure that the definition of disability would be broadly construed and applied without extensive analysis. P&A submitted a report to the South Carolina Supreme Court showing the extent of the systemic barriers that people who are deaf face in the judicial system in South Carolina. Training was provided for judges and magistrates. In 2008, P&A filed a complaint to the US Department of Justice (DOJ) on behalf of an individual who is deaf regarding effective communication concerns with the City of Columbia Police Department (CCPD). After many years, in 2016 the DOJ reached an extensive settlement with the CCPD. Among other things the CCPD agreed to: provide auxiliary aids and services when needed for effective communication and to do so free of charge; designate an ADA coordinator; develop an appropriate grievance procedure; provide “communication cards” for officers to use in the field; develop a communication assessment form; post signs about effective communication and the availability of auxiliary aids/services; put a TTY and video phone at CCPD stations/substations; provide staff training; and modify the handcuffing policy where the individual uses sign language. 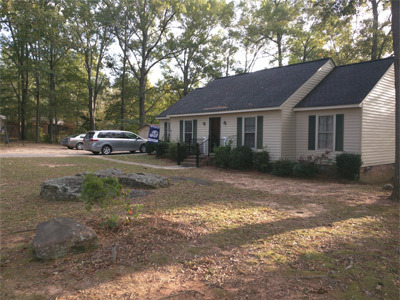 In 2009, P&A released No Place to Call Home, a report that showed the fragmented regulation and oversight of Community Residential Care Facilities (CRCFs) in South Carolina. The investigation found that many CRCFs were not providing their clients with proper medications and medical care, were filthy, and served inadequate food. P&A also provided recommendations for improving conditions. P&A has also filed comments on proposed DHEC regulations for CRCFs. Starting in 2010 P&A has fought caps for services imposed upon Medicaid Waiver services, arguing that they violate the ADA and the landmark Olmstead decision, placing those on the Medicaid Waivers at serious risk of institutionalization. This advocacy included one federal lawsuit under the ADA and multiple administrative cases brought on behalf of our clients. In addition, P&A argued against the caps in four friend of the court briefs in which P&A partnered with advocacy groups. All of those represented by P&A were able to remain living in their homes and able to exceed the cap. The right to exceed the caps is firmly established in federal and state case law, as well as in administrative hearings. 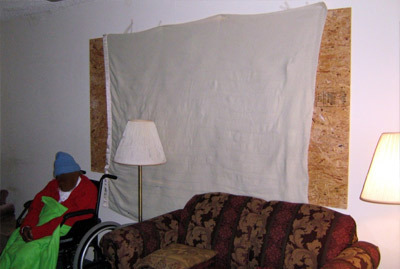 In 2010, P&A sued the SC Department of Disabilities and Special Needs (DDSN) for refusing to allow P&A to carry out its duty to inspect group homes where individuals with developmental disabilities live. To insure that medications are being administered safely, P&A needs to see records. DDSN has instructed the homes not to share those records. In November 2012 the judge ruled against P&A. In June 2016 the Court of Appeals ruled against P&A’s appeal. P&A requested review by the SC Supreme Court. The Court initially announced it would hear an appeal by P&A, but later reversed that decision and the case ended. P&A’s continues to have authority to conduct inspections in the group homes but will need permission from residents or their guardians to review personal records. A P&A client with a Traumatic Brain Injury who uses a wheel chair was having problems accessing the rehabilitation hospital that the client went to frequently for therapy. After P&A contacted the hospital, the hospital implemented an improvement plan, which included adding additional accessible parking and removing curbs from the area. In 2011, the SC Department of Health and Human Services, the Medicaid agency, attempted to put in place caps on children’s services, particularly occupational therapy, physical therapy, and speech therapy. P&A represented many individual clients in administrative hearings and at the Administrative Law Court. In each case P&A successfully opposed the caps and obtained medically necessary services for some of the most vulnerable children in South Carolina. P&A’s work resulted in a change to DHHS policy and elimination of the caps. Four years after No Place to Call Home was issued, P&A published a follow up report called Still no Place to Call Home documenting that the same unsafe and deplorable conditions still existed in many of South Carolina's CRCFs. P&A continues to advocate for better conditions for CRCFs. P&A worked with the Equal Employment Opportunity Commission and the Newberry County Sheriff’s Office in mobilizing a wide array of local, state, and federal agencies and organizations to ensure that four men with intellectual disabilities who were being exploited, denied basic freedoms, and had been forced to work at a Newberry turkey plant receive the help they need. In January 2015, P&A published a report based on the 303 polling place accessibility surveys P&A conducted in the November 2014 Election. This report indicated that nearly two thirds of all polling places surveyed were inaccessible. 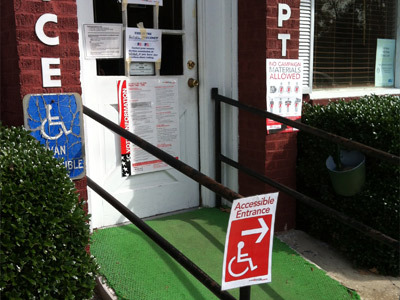 In response, the South Carolina State Election Commission appointed a new accessibility coordinator, increased disability sensitivity training, and conducted a full statewide assessment on polling place accessibility. Over the years, P&A has assisted many clients in receiving the assistive technology they need. 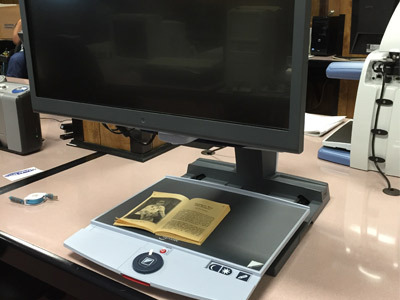 For example, in 2015 P&A assisted a young man in high school with visual disabilities to receive much needed talking book software, screen enlarging software, orally administered tests, large print books, and extra time as needed on assignments. Protection and Advocacy for People with Disabilities, Inc., (P&A) and six individuals with disabilities have filed a class action lawsuit against the South Carolina Department of Mental Health (DMH) and its Commission alleging violations of the Americans with Disabilities Act (ADA). The complaint alleges that DMH has failed to develop community-based services for individuals with disabilities. As a result, individuals are forced to receive their treatment as patients at G. Werber Bryan Psychiatric Hospital in Columbia. This unnecessarily segregates and isolates them from the community. The Client Assistance Program (CAP) which started in 1984 moved to P&A in September of 2017. This program will expand P&A’s efforts to make sure that people with disabilities have the supports and services they need to help them work. CAP assists individuals understand their rights to services from the South Carolina Vocational Rehabilitation Department (VR), the South Carolina Commission for the Blind (SCCB), and Independent Living Centers. CAP also helps people understand their employment rights. Rights include reasonable job accommodations and freedom from disability-related discrimination. In March 2018, a bipartisan Social Security bill unanimously passed in Congress and was signed by the President on April 13, 2018. This bill created a new P&A program to monitor Social Security Administration (SSA) representative payees. A representative payee is designated to receive Social Security Disability or Supplemental Security Income benefits for a person who has been determined to be not fully capable of managing the individual’s benefits. This new program began August 1, 2018 and directs P&A to conduct periodic, onsite individual, or organizational representative payee reviews along with additional discretionary reviews. In addition, P&A may conduct educational visits and conduct reviews based on allegations we receive of payee misconduct. This new program will provide vital accountability services to protect the rights of SSA recipients.